We aren’t going to lie…having your first baby can be seriously overwhelming! You may read all the best parenting books out there, but it won’t prepare you for the dizzying array of baby products on the market. 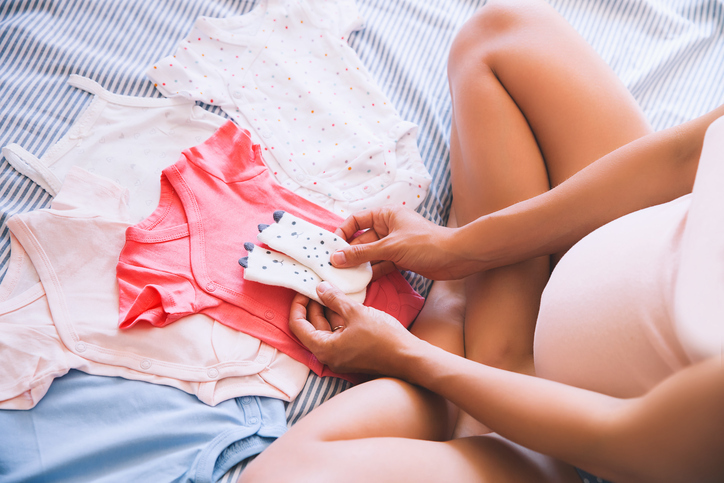 How do you know which are the must have baby items you really NEED, versus those that are just “nice to have”? 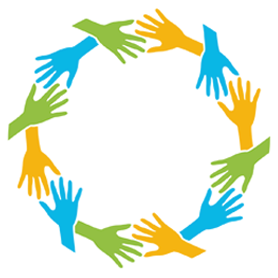 That’s where we can help. We look at literally thousands of baby items a year, and over time we’ve been able to separate the needs from the wants. 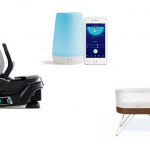 When it comes to baby stuff, here’s our list of the tried and true newborn baby essentials you want to have on hand when starting out your parenting journey. These are the real must have baby items you won’t be able to live without! You want to buy your infant car seat a few weeks before your due date and practice securing it properly in all your vehicles to get familiar with how it works before the baby comes. And yes, when your little one outgrows the infant car seat, you’ll have to purchase a convertible or other front-facing car seat designed to accommodate toddlers. This may get you thinking that purchasing a convertible car seat from the get-go might make more sense, but an infant car seat comes with one amazing advantage…you can let your sleeping baby stay asleep instead of having to unbuckle and wake them to take them out of the car. To us, this is WORTH IT. Plus, the KeyFit adapter works on most strollers, so you can leave the car to run errands without disturbing your little one’s slumber. 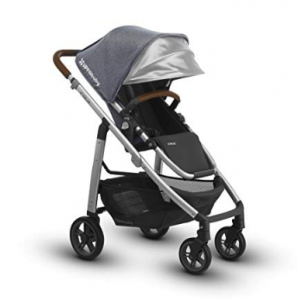 Strollers are another one of those baby essentials at the top of any must have baby items list. 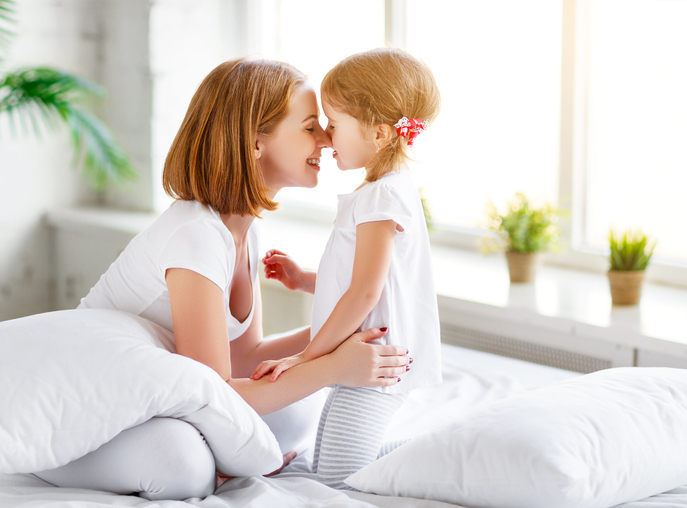 There are so many different styles out there, you definitely want to ‘test-drive’ a few strollers before baby is born to see what kind works best for you. 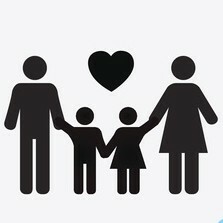 Think about where and how you’ll be using the stroller and let that guide which type you choose. Will you be in a busy city where you want something compact? Or in a rural area where you want something that can go all-terrain? Are you going to walk, jog, or both with your stroller? How big is your car? Will the stroller fit easily in your trunk? How heavy is the stroller? Can you lift it easily? Does it fold easily? 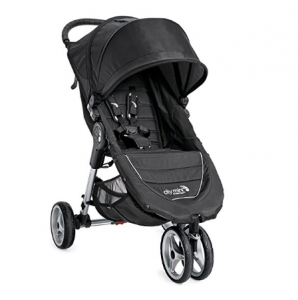 A really great all-around stroller choice is the UPPAbaby Cruz. It’s got the same high quality of an UPPAbaby, with a little less bulk and a lower price. 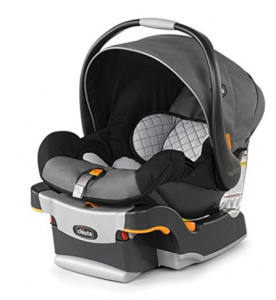 The Cruz has top-of-the-line features in a smaller package, like shock absorbers for bumpy sidewalks, a one-handed multi-position recline toddler seat and an adjustable canopy. For urban parents, the Baby Jogger City Mini Stroller is a good option. It’s lightweight and folds easily with just one hand. The City Mini is also super compact, so it’s great for subways, museums, small trunks, all kinds of city environments. It’s even got all-terrain wheels, a big sun canopy with UV 50 protection and multiple recline positions, perfect for whatever on-the-go adventure you have planned. Babies really don’t need an extensive wardrobe. Spoiler alert: they’re going to outgrow everything REAL fast. So don’t waste a lot of money on newborn clothes. What you will need are a bunch of onesies. These baby must haves will be your go-to “working” outfits. The snaps between the legs makes diaper changing easier. Plus, they’re super cozy and comfy on your baby’s sensitive skin. Carter’s onesies are nice. They’re a good weight, come in a variety of colors, are machine washable, and you can buy em’ in a six-pack so you have extras on hand for when baby makes a mess. This is another one of those must have baby items you’ll definitely want on hand. Purchase a half-dozen stretchy sleepers that cover your baby from neck to feet, with snaps in the leg area for diaper changing. Sleepers are perfect for nighttime, but they’re also good all-around traveling clothes. Especially when you want something a little warmer than a onesie. These 100% cotton sleepers from Carter’s fit the bill nicely. You are going to be bathing your infant daily, but tiny newborns don’t need an entire bathtub to get clean. That’s why mamas have been using the kitchen sink for generations! One of the baby necessities we like is the Blooming Bath Lotus. 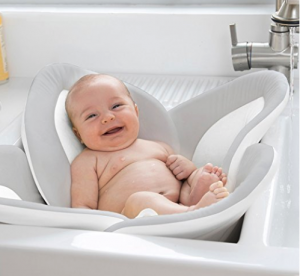 It fits in your sink and it’s “petals” are Super soft and cuddly to keep baby happy and comfortable during bath time. It’s also really easy to clean! You just wring out the excess water and throw the Blooming bath in the dryer for 10-15 minutes, or you can hang it dry using the hangtag on the back. Now that you’re a mom, you’re going to be carry a lot of stuff! One piece of must have baby gear all new mammas need is a quality diaper bag. You want something roomy, with lots of separate compartments so you can find things easily and so that your iPad doesn’t come into contact with a leaky baby bottle. Blech. 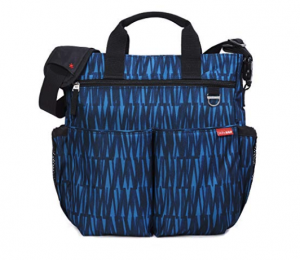 The Skip Hop Duo Signature Carry Diaper Bag is a mom favorite. It’s got ten pockets and mesh lined sides to hold baby bottles and sippy cups. The Duo Signature also comes with patented shuttle clips that easily convert it from a shoulder bag to a stroller bag. This is a great diaper bag bag for moms on the go. Look, you are going to be changing a LOT of diapers. And you are going to need to change them when you’re on the go, in less than ideal (or sanitary) conditions. Having a portable, wipeable, molding changing pad like the Keekaroo Peanut can be a lifesaver. It’s a clean, comfy changing spot you can use on a dresser, table, floor, etc. And it’s peanut shape keeps your baby from sliding off when they’re being changed. Keeping baby’s nails short will prevent him from scratching himself and you. You’ll need blunt nail clippers designed especially for baby’s soft little nails. You’ll also need some baby-sized health care basics, and if your baby has hair a small soft brush to style it after baths. The American Red Cross Deluxe Baby Healthcare and Grooming Kit has everything you’ll need in a cool little travel bag. The 17-piece kit contains a nasal aspirator, digital thermometer with case, soft-tip medicine dispenser, comfort tip medicine spoon with cap, brush, comb, scissors, nail clipper, fingertip toothbrush, emery boards and more. It even includes a baby care, wellness and safety guide. SHARE these must have baby items for new parents on Facebook and Pinterest by clicking the buttons below.